I need to admit that I did not write much for the past 3 years as I’m not tasting as often as I used to and cannot find the time to scribble my sporadic notes anymore, but it is killing me as I love writing and more especially sharing about wine and other experiences like the following one. What triggered the need to write this little post is a bottle sipped daily over a week by one of my colleagues (while left into a fridge in between) which still tasted surprisingly good after all that time. It was not just good, in fact, I was very impressed. She was just having her lunch at her desk at the office and I realized she was sipping a glass of white with her shrimp and fish homemade dish. Curious, I approached her and asked if I could try the wine. She aware me that it had been opened for about a week already and was probably not very good; which aroused my Sommelier’s curiosity even more. She poured me a glass and bringing it to my nose, my rusty olfactory memories awakened and led the way to the exercise of deduction and dissection that each tasting, blind or not, is. The aromas gently brushed my nostrils to find their way to my bulb wriggling at the idea of being used once again after so long. Vibrant white floral and citrusy aromas, like grapefruit and lime, mingled with unripe stone fruit and gooseberry notes, discreet vegetal nuances and a hint of mineral zest. Pretty good so far for one week old wine that has been opened and closed and went back and forth from the fridge quite a few times. Although it had many occasions to get acquainted with air in the last few days, I still gave it a few swirls in the glass, by habits maybe but mainly because it seemed so fresh like if the cork was just removed moments ago. My taste buds resounded with joyful agitation when the bright and refreshing liquid caressed them on his way to the back of the palate before disappearing in my throat, quenching my thirst for exiting wine and enhancing my knowledge and skills trough such an interesting experience. Well balanced and harmonious, crisp and light, showing structure and texture complemented by great enhancing acidity lingering in the finish, this wine, reintroducing flavors in the palate reminiscent of the aromas on the nose, was beautifully crafted and surprisingly rewarding even after being uncorcked a week earlier. 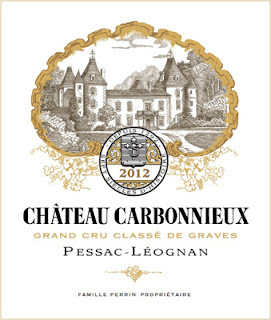 A smile enlightened my face as the distinguished scallop shell of Chateau Carbonnieux appeared to my eyes wide opened ready to unveil the mystery of which producer could have crafted such wine that could resist time and repeated contacts with oxygen with no signs of oxidation after a week. I was impressed. 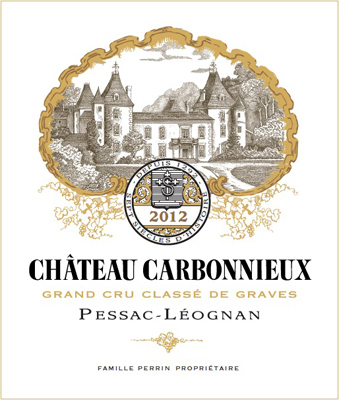 I always loved Chateau Carbonnieux, but loved it even more after this experience. Definitely recommended to keep a few of this gem in your cellar, it will effortlessly complement any fish and shellfish dish accompanied with creamy sauce, as well as summery salads and goat cheeses. Love it. I had the chance to taste and buy and drink and sell loads of bottles of Carbonnieux Blanc in my 23 years career in direct relation with wine either in restaurant, like in the mid 90s as a Chef de Rang/Maitre D’/Commis Sommelier at the “Relais de Compostelle” in Pessac where it was a “figure de proue” of our wine list mostly featuring the jewels of the Pessac-Leognan Appellation for years; then later as Sommelier/ Head Sommelier / Wine buyer in England in 3 restaurants; then in New York in two boutique stores where I was working in as Head Sommelier / Wine Buyer while managing the store…and even now as a regular buyer. I also had the chance to meet the humble Perrin family many times in numerous occasions; they are as lovely, gentle and charming as their wines. Late Anthony Perrin was a great man for whom I had much respect and Eric is the one that I now talk to mostly when he is behind the table during tasting telling the story of his wines, he is so approachable and friendly.